Workshop attendees sit outdoors in the butterfly garden an discuss the launching of a Forest School at Reflection Riding Arboretum and Nature Center on Sunday afternoon. From left are, Melanie Ferguson, kindergarten teacher, Kysha Hehn, environmental educator at Turning Sun School in Atlanta, and Dr. Jean Lomino, director of Wauhatchie School. POLL: Do you think students benefit from outdoor learning opportunities? Starting in the fall, area students aged 4-12 will be able to go to school five days a week without stepping in a physical building. They'll learn writing, literature, art, history, geology and more through hands-on learning at Reflection Riding Arboretum and Nature Center. Five days a week, cold or warm, wet or dry, students will dress for the elements and learn outside. "The classroom is the forest, the kids just go off and explore the world," nature center president Mark McKnight said. "They're exploring the world. That's way more powerful than seeing something on a screen. That concept is something that's really new to Tennessee, at least." The nature center is launching a Forest Kindergarten program and Chattanooga's first Forest School. The decision was announced at a Forest Kindergarten workshop at the property Sunday afternoon. The program is an alternative teaching method that allows kids to be outside while learning social and educational lessons. The Forest School program is a three-hour-per-day program for homeschooled children aged 7-12. Costs range from $220-$500 per month. Eventually, the center hopes to expand the program, encompassing full-day sessions and additional grades. If expanded, it will operate as a private school. For Forest Kindergarten students, the program is a replacement for more traditional schooling, costing $800 per month for the full five-day program with less expensive options available for half-day schooling. It's similar to the Montessori education theory that has been popular in the U.S. for more than 100 years and is built around children's natural curiosity. Research has shown students who take Forest Kindergarten, and other similar programs, are more attentive, better behaved and more prepared for middle and high school, researcher Jiyoun Shen said. Shen was at the workshop to discuss the information and explain research that shows the success of the program. Shen is an associate professor of early childhood education at Sahmyook University in South Korea. She is in the midst of a year-long sabbatical and is studying the impact of Forest Kindergarten on children. "So far, we've found children who attend Forest Kindergarten exemplify good character traits," she said. "I believe those strong traits were due to the key features of the program. They are more assertive in activities and display better self-confidence and problem-solving skills." Shen has been observing the schools, talking to students, interviewing teachers, collecting data and writing daily journals to understand the full impact of the education program. 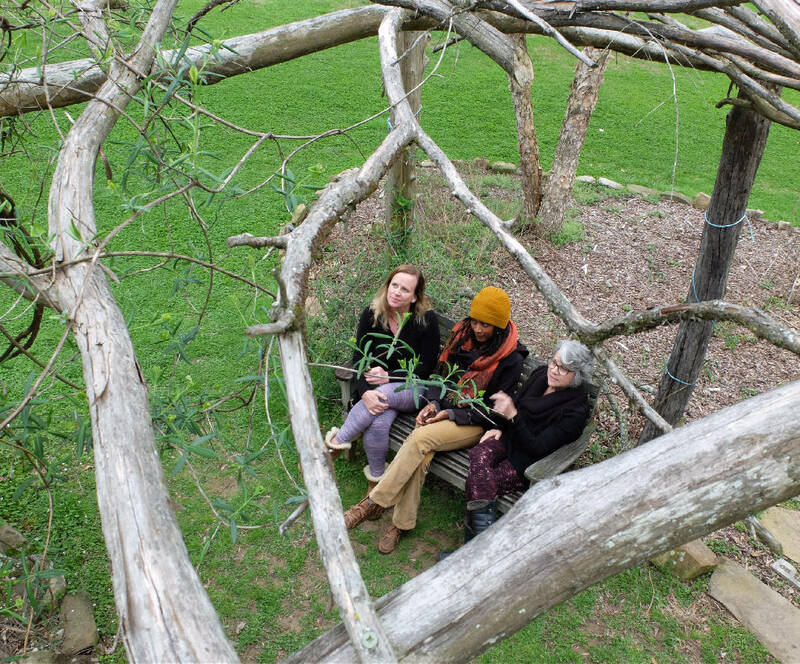 The program at the nature center is under the umbrella of the already-existing Wauhatchie School Forest Kindergarten program in Chattanooga, co-founded and directed by Jean Lomino. "The best way for children to learn is to take them out of the classroom," Lomino said. " Just about any subject can be taught in an outdoor setting. My biggest concern right now is the disconnect between nature and human beings. I think this movement is helping get children back outside." The original plan at the nature center was to just launch another Forest Kindergarten program with plans to expand in the future. However, McKnight and the program believe they can successfully launch a full Forest School next school year as well as the Forest Kindergarten program. Forest School includes educational lessons along with self-exploration led by the students. It is certified as a homeschool program but is similar to regular school in that parents drop off their children and can leave. Students will be tested according to their grade level and work to prepare for their future in a classroom. Forest Kindergarten, for children aged 4-6, is a time for exploration and learning. Upon completion, students can enter first grade, kindergarten or the Forest School, depending on age and readiness. Students will arrive at the program Monday through Friday, dressed for the day's weather and will be outside unless there's extreme weather conditions. Students will be inside the nature center's Humphreys' House when there is extreme weather. "When you're outside in all weather — really cold, rainy — they learn to adapt to that. They are stronger as a result. Just going through jumping, running, climbing and all the activity involved in being outside, they build core muscle strength, which research is showing children have lost," Lomino said. The nature center will also be using the program to train teachers from around the world. In the coming weeks teachers from China, South Korea and other countries will come to the center to learn how to teach outdoor-based education. "We want to launch this not just nationally, but even bigger internationally," McKnight said. "We want this to be a place to get this conversation going on a larger scale." Contact staff writer Mark Pace at mpace@timesfreepress.com or 423-757-6361. 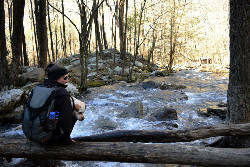 Follow him on Twitter @the markpace and on Facebook @ChattanoogaOutdoorsTFP.